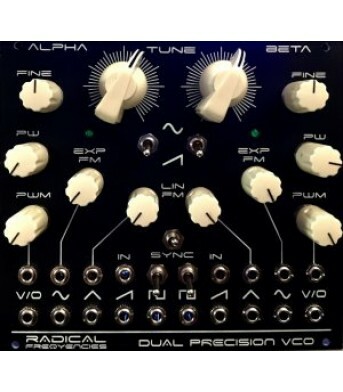 Radical Frequencies 12dB Multi VCF is a multimode filter providing simultaneously low pass, ban..
100% Discrete Electronics. 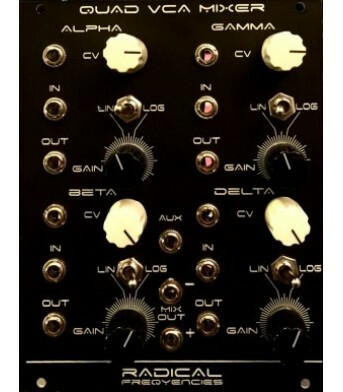 Instead of today’s popular surface mount ‘cell phone’ parts (smt), our mo..
Dual Vca with Lin/log FunctionFirst of all let's speak about the sound of this module, as it's the f.. 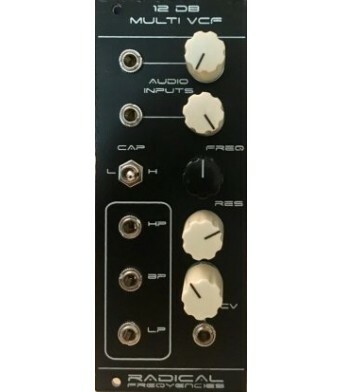 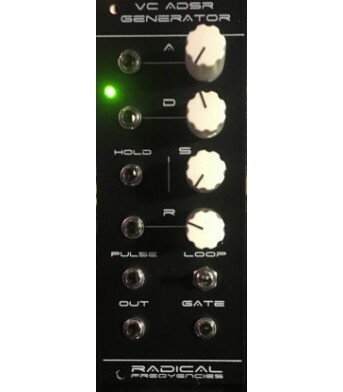 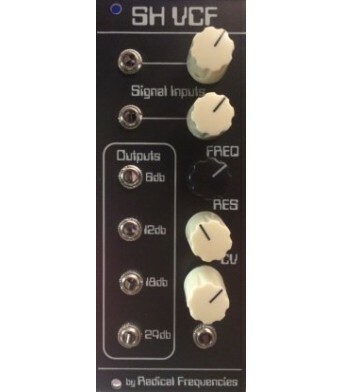 Radical Frequencies vcf 1 This is a low pass 24 db ladder filter very close to the Moog topology bu.. 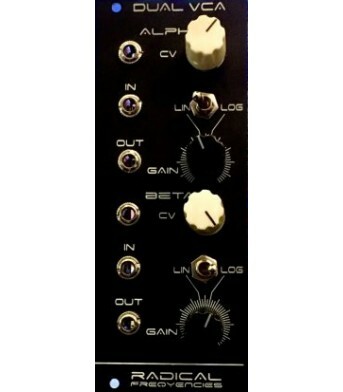 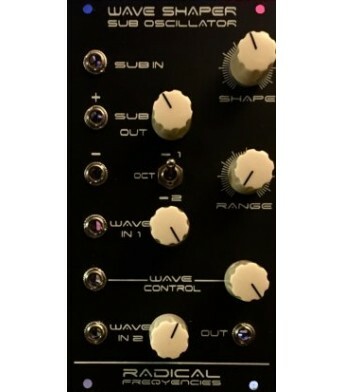 Radical Frequencies SH VCF It is a complete discrete through hole replica of the the original mono s..
100% handmade Voltage Controlled ADHSR Clock Generator with discrete transistor core circuitThe ..
Waveshaper and Suboscillator in one moduleThe Radical Frequencies Waveshaper-Suboscillator..